Commonwealth Stamps Opinion: 1086. 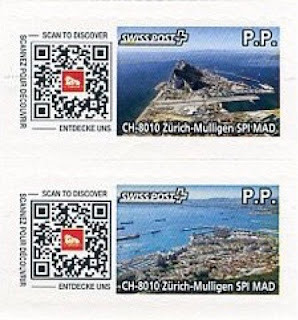 🇬🇮🇨🇭 Swiss Post Starts Postal Service In Gibraltar And Issues Stamps For It. 1086. 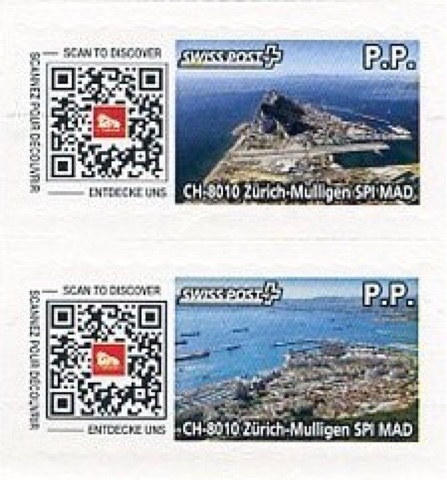 🇬🇮🇨🇭 Swiss Post Starts Postal Service In Gibraltar And Issues Stamps For It. 🇬🇮 Collectors continue to talk and write about new issues as though they are being released by "countries" ("Great Britain", "Australia", "Solomon Islands", "Ghana" and so on"). But, in many cases they are not. New stamps are more often than not planned, produced and issued by private companies which are recognised by the government of a particular country or territory as the national provider, or one of the providers, of a postal service inside that territory or, additionally or alternatively, as a provider of philatelic services for that territory. More and more, provision of philatelic services is not necessarily the same thing as provision of a postal service. 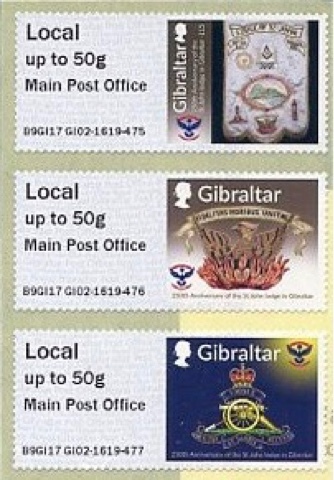 Sometimes, with a government's permission, it is not necessary to provide a postal service in order to have the right to produce and sell "officially recognised" postage stamps principally as philatelic collectables nor is it necessary for such items to actually be sold in post offices with the intention that they be used on mail to indicate the prepayment of postage. Nowadays it is far more sensible to think of mail services in The United Kingdom as being provided by the Royal Mail postal service as well as other private companies, including Universal Mail United Kingdom which also produces stamps for use on a specialised mail service (overseas postcards), than to talk about a new "British" issue. Likewise, new postage stamps in Australia are issued by Australia Post and this company also produces and operates the mail service in dependant territories so that Christmas Island stamps are not produced by a Christmas Island postal service nor are Norfolk Island stamps provided any more by a Norfolk Island postal service but they all originate from Australia Post which operates the postal services in these various territories. 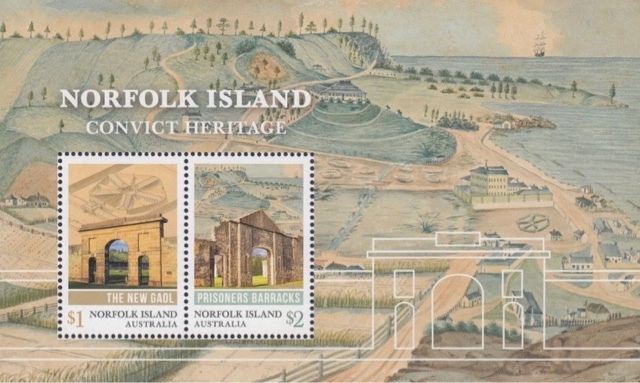 Hence new Christmas Island stamps are not "Christmas Island stamps" but merely items produced by Australia Post for use on mail in the island and elsewhere in Australia and for sale to stamp collectors. The Ghana postal service may produce a small number of new stamps itself for use on local mail but most "stamps" which appear on the philatelic market with the name of Ghana printed on them have little or nothing to do with the Ghana postal service originating as they do with the foreign and distant philatelic agency, IGPC. Likewise few if any new Solomon Islands stamps have anything to do with the Solomon Islands postal service and it seems doubtful that those charged with delivering the Solomon Islands postal service have any involvement whatsoever in choosing subjects and designs of new stamp issues or even putting them on sale at Solomon Islands post offices. Thus we can not talk about "Solomon Islands new issues" but instead more accurately term them as being products of the Stamperija Philatelic agency. We might describe them as being "Stamperija new issues which are inscribed "Solomon Islands". 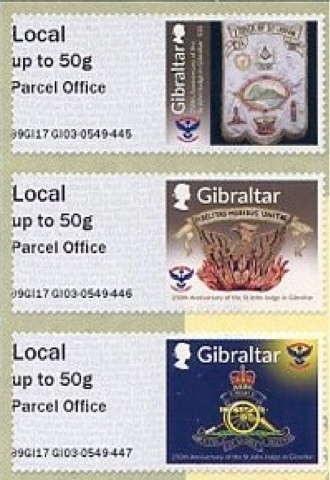 This long preamble brings me around finally to events in Gibraltar where The Royal Gibraltar Post Office has always been the provider of postal services in modern times and therefore the sole legal producer of postage stamps recognised by the Gibraltar government. Not any more. 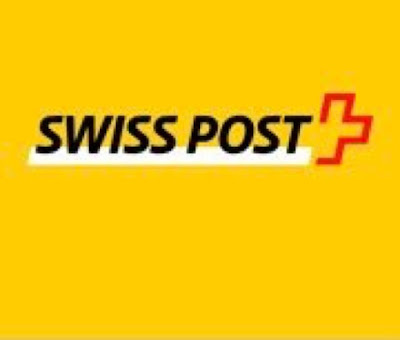 I read on the Galeria ATM website that Swiss Post is now operating a service for tourist mail from Gibraltar for international postcards. Ten different stamps in self-adhesive format have been put on sale in sheetlets containing the 10 stamps. Each stamp shows a different view of the territory. 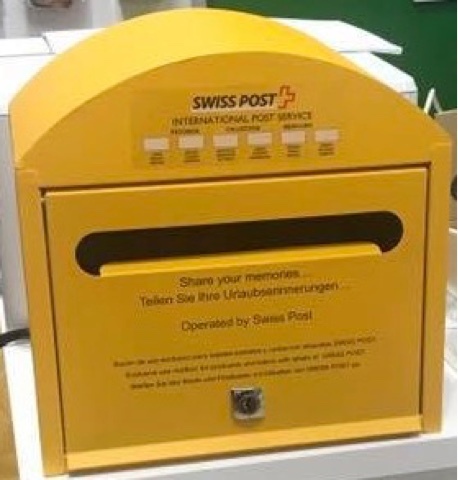 The launch of the Swiss Post service seems to have taken place on 14 August 2017 and postboxes for the service have been placed at various locations around the territory. 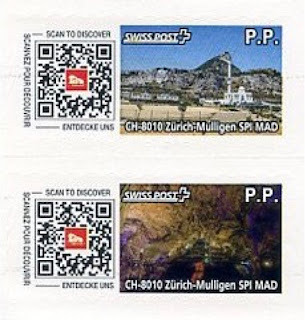 This is an interesting development in the postal history of Gibraltar and the interesting stamps are, I would have thought, well worth adding to a Gibraltar or Commonwealth collection. Although they are for a specialist service they do fulfill the criteria for being included in Stanley Gibbons Catalogue in that they are issued for the prepayment of postage and appear to be accessible to locals and tourists alike in sufficient numbers for use on mail. I would doubt, however, that they will be catalogued by Gibbons just as the Universal Mail UK stamps have not been and it will take a change in collectors' general thinking about how we judge what do and do not constitute a "country's" postage stamps before they do find their way into the main catalogues. Rating:- *****. 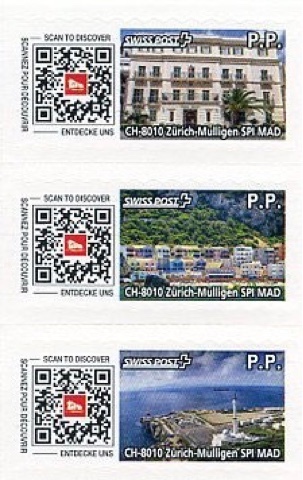 I never thought that I would be adding some issues of Swiss Post to my Commonwealth collection. 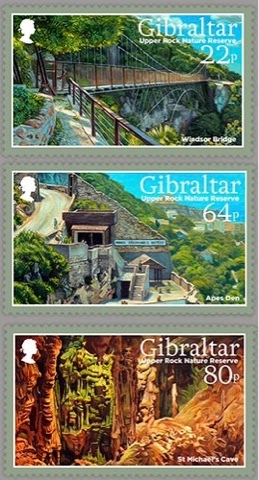 The Royal Gibraltar Post Office has been keeping Post and Go dealers and collectors busy with a recent outpouring of new issues from its various kiosks. 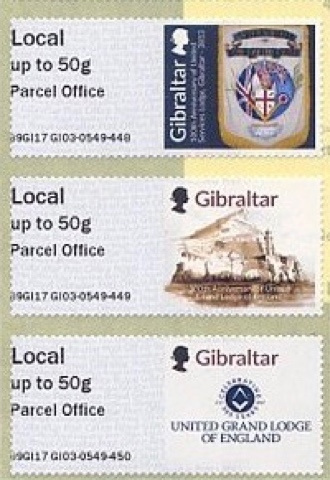 A new inscription has been applied to "Year of the Rooster" stamps sold from kiosks GI01 (Gibraltar House in London), GI02 (GI02 Main post office in Gibraltar) and GO03 (Parcel office in Gibraltar) which reads, "Cancer Research". The items went on sale on 19 September 2017. Rating:- **. 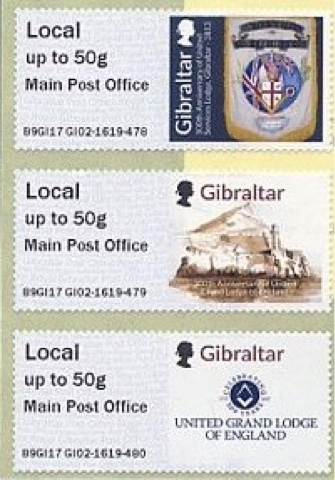 The new Freemasonry stamps also went on sale at the same locations from 19 September 2017 with each place of sale indicated by the inscriptions on the stamps. I like the stamps actually sold in Gibraltar especially as they commemorate at least one local anniversary but have no intention of collecting any labels sold in London where they have no postal validity. 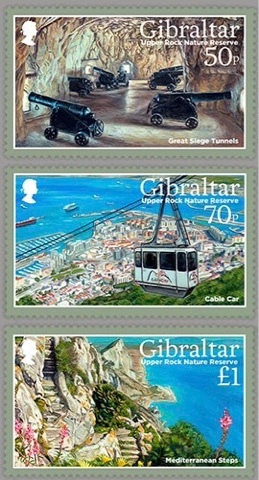 Rating (for items originating in Gibraltar):- ****. 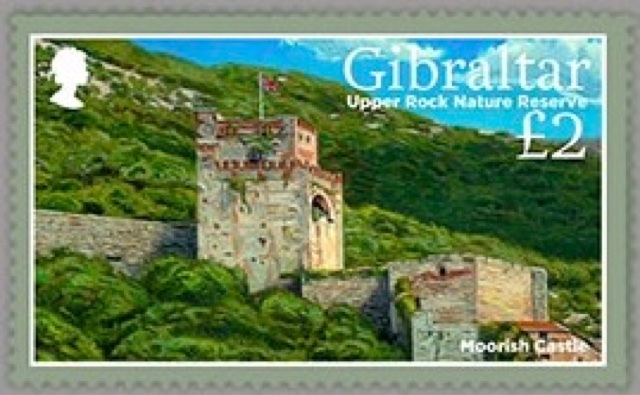 Meanwhile, Royal Gibraltar Post Office is also planning to issue a set of 7 stamps on an as yet undisclosed date on the subject of the Upper Rock Nature Reserve. This issue does not appear to be related to any event or notable anniversary but is a pleasant enough set depicting various scenes though, given that it's a nature reserve, no actual local wildlife. 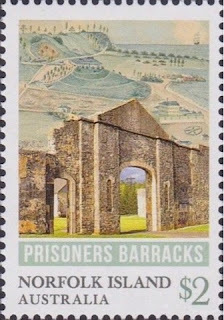 The stamps were designed by Stephen Perera from illustrations by Jonathan Pointer and lithographed by Bpost Security Printers (a new name to me). Rating:- **. 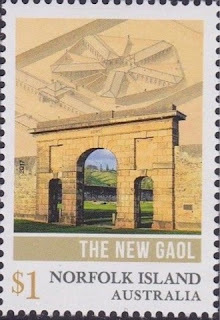 🇳🇫 I have previously mentioned the pair of stamps and 1 miniature sheet issued on 19 September 2017 by Australia Post which have the additional inscription "Norfolk Island" and which commemorate the "Convict Heritage" of Norfolk Island. I now include better illustrations of the stamps and an illustration of the miniature sheet. The issue was designed by Jo Mure and lithographed by RA Printing and perforated 14 x 14.5. An interesting and pleasingly modest issue. Rating:- ***. Hello. 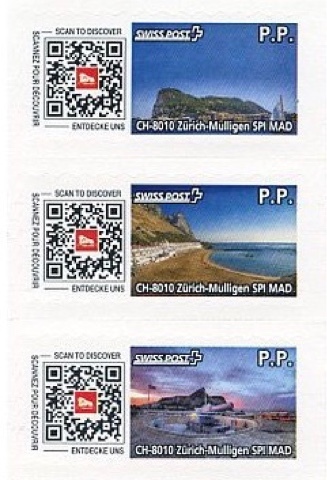 Swiss Post has already been competing with the historic postal service in Spain in touristic areas. Hello Sébastien. Thank you for your interesting comment and the reference you have provided. 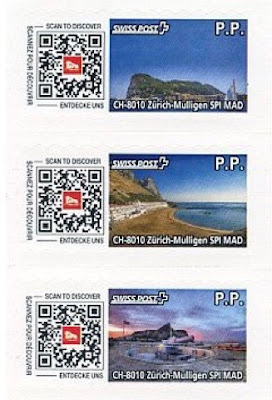 It is interesting that Swiss Post was already active in the Spanish islands and also apparently in Venice. I can see that it's a short stepping stone from opening a service in Spanish tourist centres from which one may expect, even now in these days of electronic mail, an amount of tourist mail to be sent, especially postcards, to across the border in Gibraltar. I wonder if these stamps are sold at a premium above the actual postal rate as often happens with Universal Mail UK stamps. Likewise, I wonder how reliable the service - there have been reports that the Universal Mail service is slow and unreliable even though, or perhaps because of, the postcards are posted in Royal Mail post boxes. I have certainly sent a couple of such postcards abroad from Stratford-upon-Avon and they have never arrived at their destination. 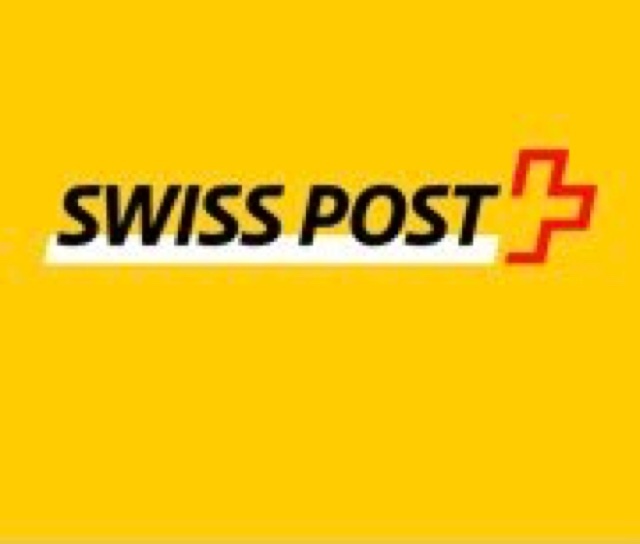 The activities of Swiss Post in other countries are clearly something to keep our eyes on over the next couple of years. BPost is the postal service of Belgium and they print stamps for Luxembourg as well, so the Gibraltar Nature Reserve stamps (which show flora, if not fauna!) are probably printed by them. Thank you for that very useful information, Ian.